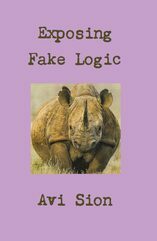 Readers can write to Avi Sion using the contact form below, or by e-mail at avi-sion@thelogician.net. Questions and comments are welcome, and will usually be answered, but please keep them short. Preferably, though, post your question or comment in the Comments space of the relevant page, so other people benefit from the conversation. Thank you. © Copyright 2018 by Avi Sion. All rights reserved.